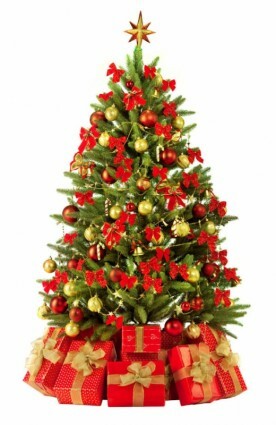 to keep the spirit of Christmas with us. I am still saying Merry Christmas to those I meet and see in the stores and about. I get strange looks since many have already seemed to have moved on to other things. But why does Christmas have to come to an abrupt halt after the presents are opened and dinner has been served? We refer to this as the Christmas Season or Holiday Season do we not? 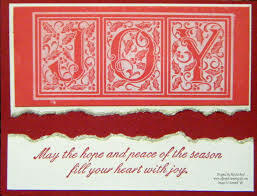 Can we continue wishing others joy, peace, and love beyond Christmas Day? I think I will keep saying Merry Christmas another week or so and see what happens. I contend that if we really embrace the reason for the season, wishing others joy, peace, and love past the sounds and sights of Christmas is okay. I contend that if we extended our Christmas wishes throughout the year, we would have a different world to live in. So Merry Christmas to all…again! reach his/her full potential, others are deeply affected. The child’s Mom and Dad are inspired and become full of hope, the child’s sibling(s) have a role model to follow, and the community changes for the better. The child succeeds! Next month we will begin a third year of support and will call on all “Friends” old and new to first do two things. First, look at our two year history of support including the past couple Posts accounting for our achievements in 2015. You will see how far we have come with prayers, positive expectations, and donations. The number of students being helped has grown and our overall support of the Learning Center has continued to expand and grow. Then, look at what we plan to do in 2016. We want to give more children the opportunity to attend the Learning Center. We want the Learning Center’s Director to remain on board to continue producing quality results. We want to see students from Copey establish friendships via Pen Pals and other student interactions. 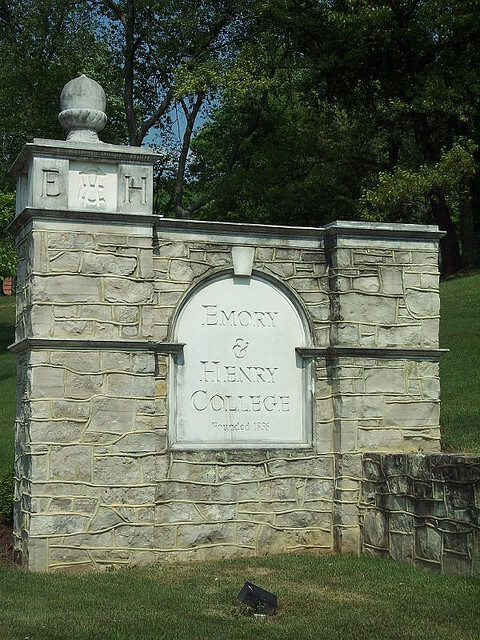 And, we want to help Angela and two Copey students get to the Emory & Henry College campus next June. These and other plans and initiatives await us. At the end of 2016 when we as “Friends” account for our efforts, I am convinced our record will match and exceed 2015 accomplishments. But this will take all the “Friends” who believe in prayer to pray for our success. It will take all the “Friends” to be on board who understand and embrace the power of positive thinking. And, all those “Friends” who can provide financial support to help pull this all together will be needed as well. All three of these types of “Friends” will help us demonstrate our value as devoted and dedicated partners to the Copey community. Our motto has consistently been… “When many will do just a little…A lot will get done for Kids!”. Pa rum pum pum pum! Come they told me, Pa rum pum pum pum! A new-born King to see, Pa rum pum pum pum! supported by the AGB Fund in 2015. Angela, the community, and I are all very appreciative and grateful for this support. I wish there was an easy way to measure the positive impact these scholarships have on the students, the families, the community, and the Learning Center. Just believe it is significant! Dr. Church, deserves a great deal of credit/accolades for his willingness to co-chair the AGB Scholarship Fund and I thank him personally for all the support and encouragement he provides. Thanks Lin! While looking at a Post I wrote in December 2014, I found comments I made indicating what we planned to achieve in 2015. It is a very gratifying experience to read something written 12 months ago and see it come true. 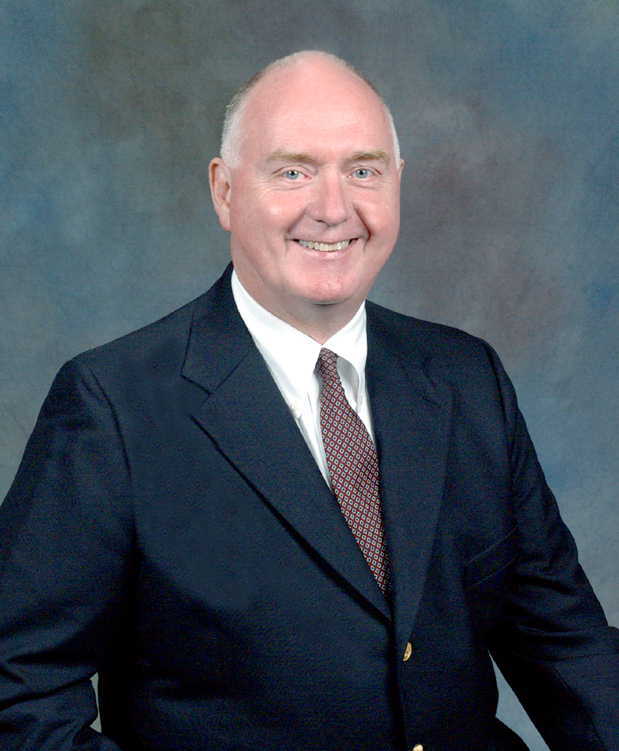 Last December I wrote… “We will initiate our 2nd Anne G. Broady Scholarship Fund Drive“. WE DID IT! Then it was written that…“There is one and possibly two developing opportunities to set up a pathway for [graduating] students in Copey to visit a US college”. WE DID IT! And I wrote that… “we plan to assist the Learning Center in raising some of the funds needed to hire a staff member to head up the Learning Center in 2015. WE DID IT! The prior two Posts this month have already reported these and other achievements documented in 2015. However, it does still feel great to know we do what we say. Over the next couple of weeks, I will share our updated plans for 2016 and will invite each of you to continue on this journey. Outstanding accomplishments, Blessings enumerable. Christine C.
What wonderful work is happening at Copey. Love the idea of having a student come up for a US school experience. Cynthia M.
Amazing work! You are an inspiration to us all. May GOD continue to bless you. Paulina V.
You can count on my positive thoughts and most of all my prayers. I truly believe in your venture and we both know “All things are possible, when God is in the mix”. Charles J.
I really enjoy hearing from you and happy to share your thoughts with all who follow this Blog. Now, there are times I see a trend in some of the comments I get. Let’s be clear…if you are a “Friend”, you are part of any success we enjoy…not a spectator. If you read this Blog and do nothing else, you are a “Friend of Copey”. Period! There’s Joy…Down In My Heart! The “thrill of hope” is alive and well in Copey, Costa Rica. A couple of weeks ago the students from the Learning Center completed their school year and we are so proud of all of them. 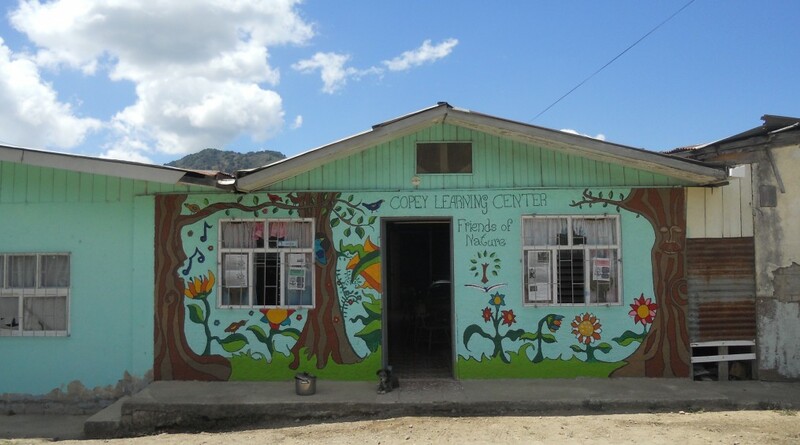 opportunity to attend the Learning Center because of the generosity of the “Friends of Copey”. As the photo indicates, these young students show their appreciation for our support. And, we extend to them, their families, and the Learning Center staff our sincere appreciation for making this all worthwhile. It is my hope that one day I can or perhaps…you can stand next to them to help hold the banner of Thanks. 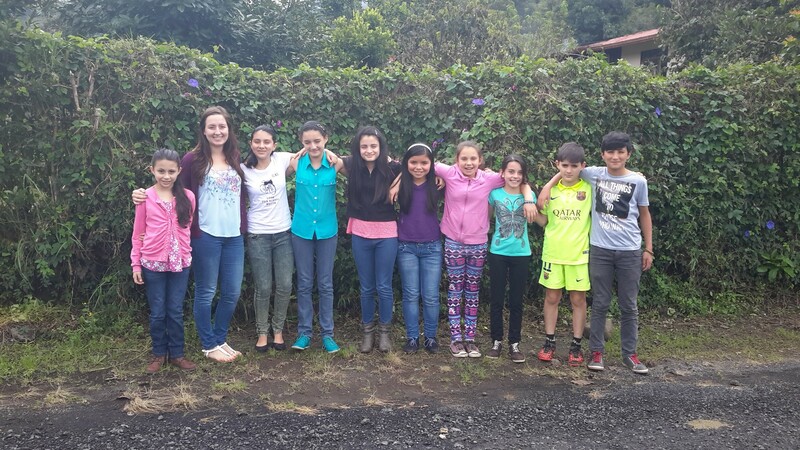 Above, Markki (volunteer teacher) is shown with her 4th, 5th, and 6th graders on their last day of classes. Below, the Learning Center students Maria along with Tobias and Brian make presentations during their graduation ceremony. We extend our best wishes to all of the community of Copey and we wait with much excitement for February 2016 to come around so we can begin a new year of success and achievements. During the K-Kids meeting this week, we discussed San Jose and Copey. This short geography lesson helped the K-Kids become more informed about their new Pen Pals. 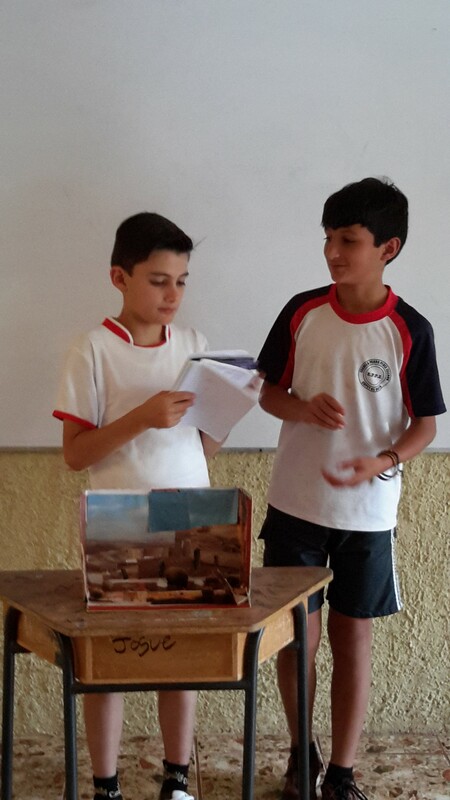 It is an amazing experience to see about 50 students (4th and 5th graders) show such a strong interest in their connection with students from another country. “All of the good news comes at a time when we need to read about positive accomplishments to encourage us and nurture our souls while there is so much negative in the world.” Lisa B. “What a remarkable endeavor unfolding!” Cynthia M.
“Congratulations for all the milestones that the Learning Center of Copey is achieving. The center is in my thoughts and prayers often.” Hina F.
So amazing how much the learning center continues to grow! I can’t wait to hear about the students’ visit to the college! God bless 🙂 Hailey T.
It’s A Wonderful Time of Joy! Those of you long time followers might recall my reference last Christmas about the Christmas song “O Holy Night”. To get the full story, you can find my comments by clicking on the December 2014 Posts located among the Archives. about Christmas and the “reason for the season”. For me, all of Christmas is captured in this one beautiful song. There are many who agree with me as it is one of the most popular songs of the season. The inspiring message of hope this song brings to us… The thrill of hope the weary world rejoices”. .. “for yonder breaks a new and glorious morn” is so badly needed. My Merry Christmas greeting to you is my wish that you experience this thrill of hope during this time of turmoil and confusion we find all around us. Let’s sing the song of Hope and Joy together this season. 1.The Big Parking Lot Sale held last Spring was a huge achievement. The effort involved more than 30 “Friends” assembled for the first time to support our very first public fund raiser. Many of the “Friends” donated numerous personal items to sell. Other “Friends” devoted many long hours and some hard labor in preparation of the sale and several “Friends” volunteered their time to be on site during and after the sale. All of these “Friends” helped raise $1,700 in a one day sale. 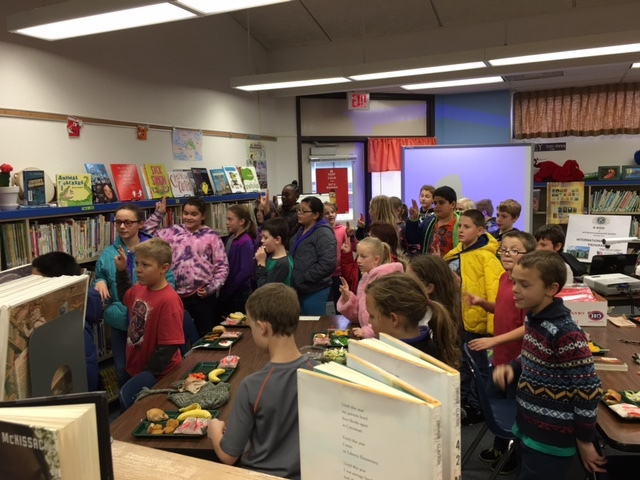 These proceeds were added to previous donations to help us meet our $2,500 commitment to the Learning Center. 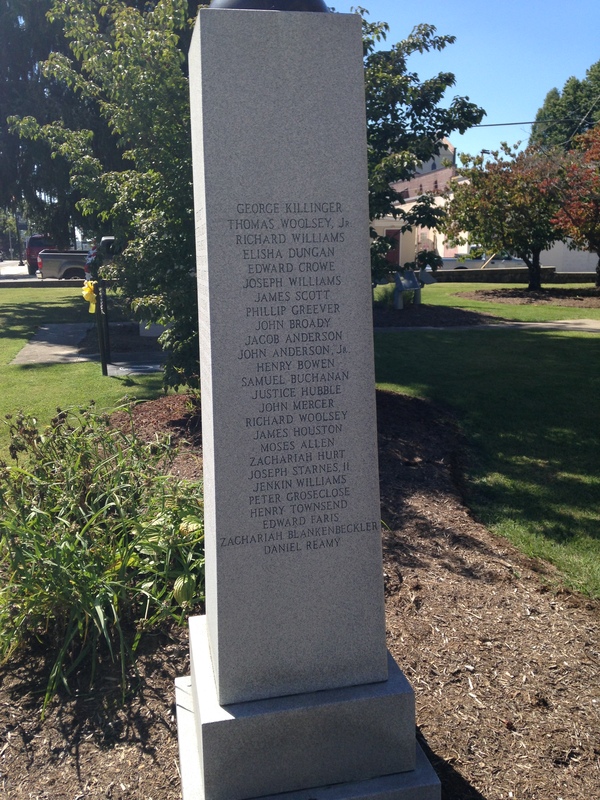 This would not have happened without the exceptional generosity of these local “Friends”. 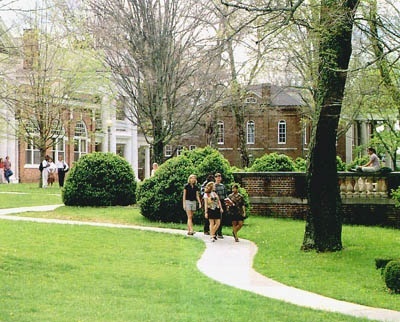 campus community very similar to the countryside of Copey. One significant highlight this year is the positive forward movement towards developing this “Pathway”. 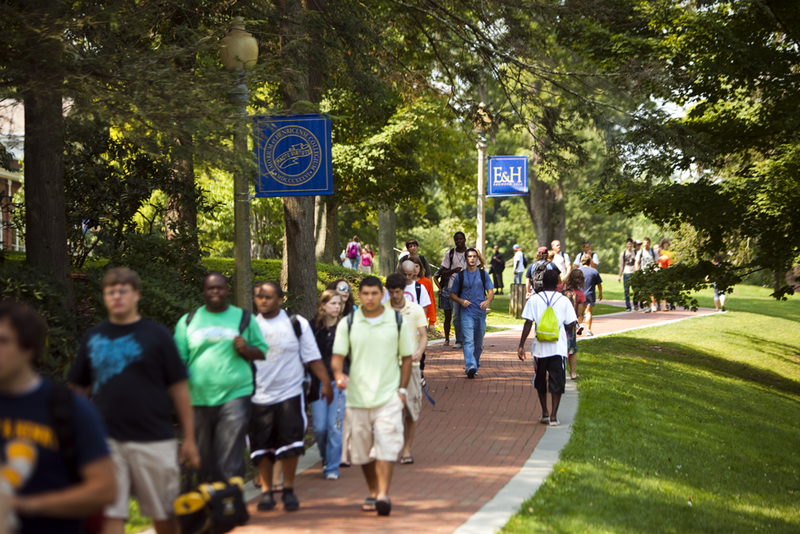 The college is working with area civic organizations to help offset tuition cost along with room and board during their campus visit in Summer 2016. The Learning Center is currently receiving applications from students applying for this unique opportunity and “Friends” plans to raise funds to offset travel expenses for the students. conjunction with the Bonner Scholars program. Bonner Scholars will be invited to apply for two volunteer positions to work at the Learning Center in late Spring 2016. Both “Pathways” represent major achievements and will serve to bring even greater attention and support for the Copey community in both the short and long term. This also establishes a meaningful overseas volunteer sight for the Bonner Scholar students. Partnerships are very IMPORTANT to the support efforts provided by “Friends”. We believe that most partnerships can be non-financial in nature. 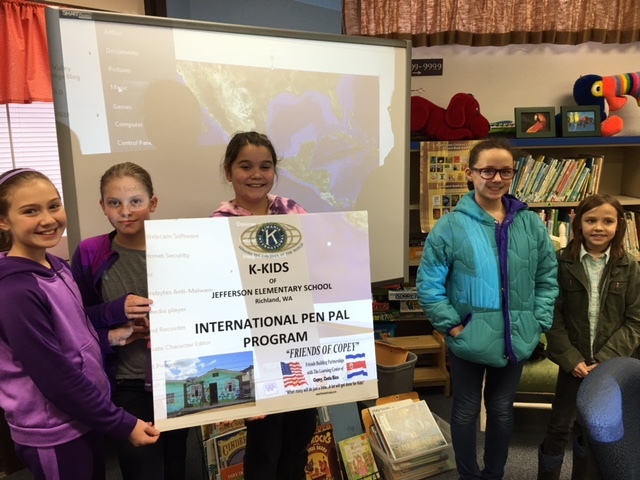 We believe there are numerous ways to develop learning experiences as our Pen Pal programs demonstrate. At other times, we do encounter costs but the benefit is well worth it such as getting a couple students on a “Pathway” to higher education. It is truly a major highlight to gain the confidence and support of an internationally recognized organization such as Kiwanis as it is also a major highlight to obtain the cooperation and alliance of a highly respected and prestigious small college. 4. Finally, there are some Blog highlights we can all be pleased with. We have already exceeded the 3,100 mark for visits in 2015 and the final month is still young. In 2014 we barely reached 2,900 visits. The United States accounted for 74% of the visits in 2015, Costa Rica 8%, Brazil 7%, and the remaining 11% came from countries including Canada, Portugal, Mexico, Indonesia, Italy, Russia, and many other smaller countries. And, visits to the Blog in January, June, and September 2015 alone totaled 1,036. For a Blog featuring a small learning facility in a very remote part of Central America, these are very impressive statistics. You deserve the credit for these numbers because of your willingness to visit the Blog each week or as often as you can. THANK YOU!